Sometimes our product specifications and descriptions can be a bit "jargony". This page will give you the basics of a pool cue, breaking out the 13 primary components of the pool cue from the pool cue tip to the bumper. 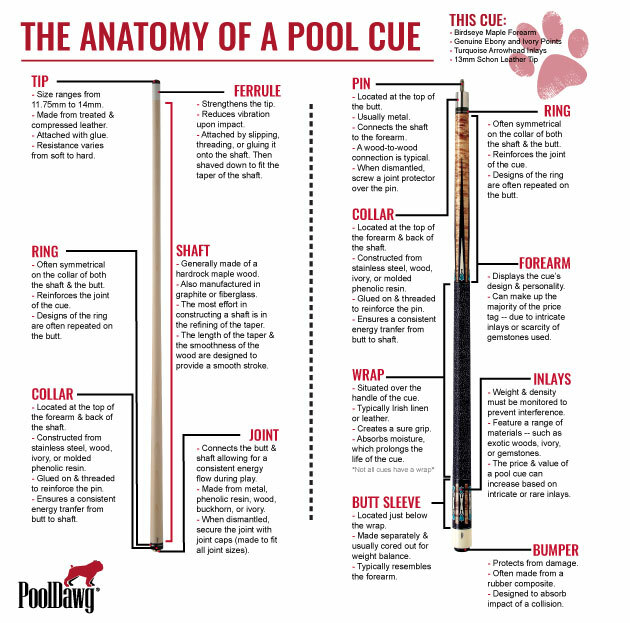 Essential information for any pool player whether you're new to the game or a seasoned vet and a must read before purchasing a new pool cue.